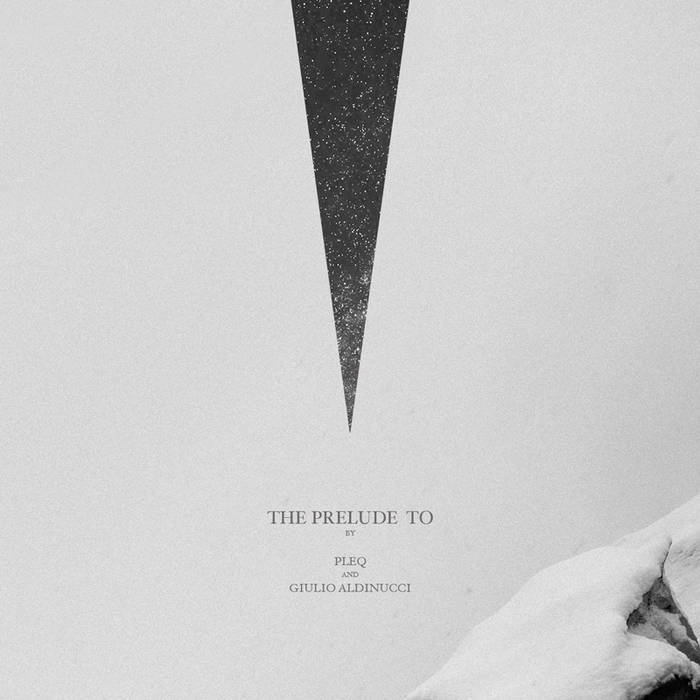 The third release on The Long Story Recording Company comes from Pleq and Giulio Aldinucci called “The Prelude To”. This is the first full length release from this Polish and Italian collaboration. Giulio Aldinucci is an Italian electroacoustic musician who has previously released under the moniker Obsil. His solo work has appeared on labels such as Dronarivm, Oak Editions, Time Released Sound and Nomadic Kids Republic to name a few. He was born in Siena (Italy) in 1981 and began learning music when he was a child. In addition to his musical research, that always focuses on different synthesis methods and on the use of field recordings, he also writes music for acoustic instruments. Pleq is the solo project of Bartosz Dziadosz, an experimental musician who combines elements of drone, down tempo, glitch and modern classical. He creates his work by fusing together independently synthesized sounds, often incorporates violin, the unexpectedly melancholic sound of a piano, sometimes female vocals. Somewhere, something falls, something enters, rings … there’s a hissing and pop, like a short circuit on high voltage lines. Carried by strong focus, Pleq’s style is remarkably consistent, and may be described as: Glitch & Melancholy. He has appeared on labels such as U-cover, Murmur, Infraction, Wist Rec, Taalem. He also curated the Russian based Dronarivm and Pocket Fields labels. Their collaboration came as a result of a demo sent to Dronarivm of Giulio’s work. The first fruit of the collaboration was the title track “The PreludeTo” which came out on Home Normal’s “Elements 5” compilation. The collaboration continued with the remaining 3 tracks which are complimented by remixes from the likes of The Green Kingdom, Christopher Bissonnette and Olan Mill. The tracks cover various styles of what can be included in the Ambient umbrella. From subtle piano tones, field recordings, haunting drones, glacial like movement, haunting breathless vocals all weaved into magical sounds with a feel that is distinct from each track. This release comes in a two panel card with art by Staszek Sokolowski with layout by Phil Gardelis [Zenjungle] and mastered by Craig Murphy (Solipsism / Solar Culture) .